As 33-year-old Philadelphia police officer Jesse Hartnett recovers from gunshot wounds, more details are emerging about why the suspected attacker opened fire on the officer's vehicle late Thursday night. The reason, unfortunately, has been a common theme in senseless attacks in the past few months: Suspect Edward Archer allegedly told authorities that he carried out the attack in the name of the Islamic State. In the wake of the Paris attacks and San Bernardino shootings, the fears it stokes feel familiar, but the community reactions have been a welcome disruption to the discourse. Images paint a terrifying scene. A person dressed in an ankle-length white garment is shown aiming toward Harnett's patrol vehicle and opening fire from a nearby crosswalk. It appears that the suspect continued to move closer to the officer's vehicle, and at one point seems to be close enough to hit the officer from point-blank range. Police are not releasing the video, but police Commissioner Richard Ross told reporters it was "absolutely one of the scariest things I've ever seen." Hartnett was hit three times in his left arm after exchanging fire with the suspect, and is expected to need multiple surgeries. 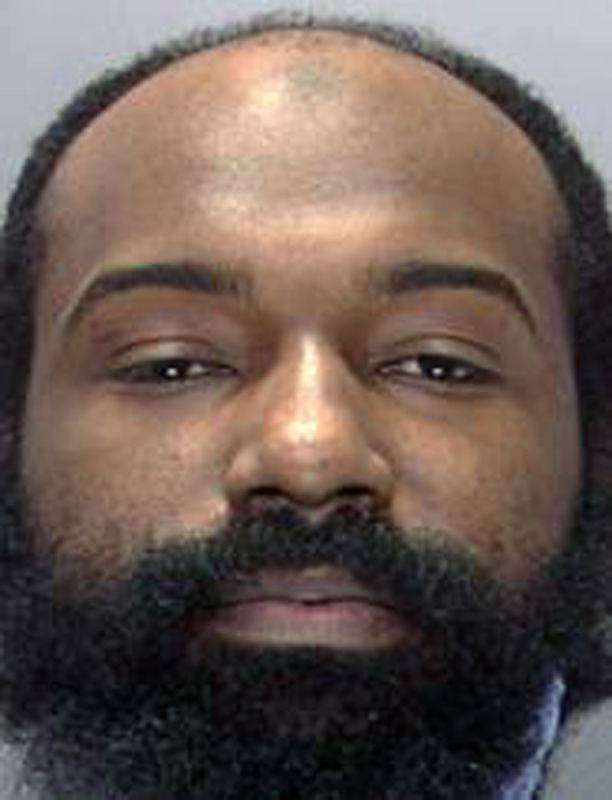 Archer, a resident of Philadelphia suburb Yeadon, was identified as a suspect and arrested in connection with the crime. According to CNN, he allegedly told investigators: "I follow Allah. I pledge my allegiance to the Islamic State and that's why I did what I did." This claims that Archer is affiliated with ISIS, presumably what he meant by "Islamic State" come on the heels or reports from multiple local news outlets that he had carried out the shooting in the name of Islam. At this point it's unclear if Archer actually has established ties to ISIS, though CNN reports that, according to the FBI, Archer traveled to Saudi Arabia in 2011 and Egypt in 2012, but the agency could not confirm if he might've met with any terrorist groups while visiting. Archer's mother, Valerie Holliday, told The Inquirer that her son is a devout longtime Muslim. Lately, she said, her son has been talking to himself and "hearing voices in his head." Holliday said that she had pressed him to seek psychiatric help. It seems that with many of the recent tragedies in the the United States and across the world, it's only a matter of time before ISIS claims some stake in the attack. And that's part of ISIS' plan, ultimately. If we believe that they have a hand in every bad thing that happens, and that they're carrying all of this out in the name of Islam, it will eventually stoke our fears of not only radical Islam, but the religion as a whole. But the response of community leaders has been the only bright spot in yet another horrible situation. Rather than alienate Muslims in Philadelphia, the city officials have rushed to dispel any idea that this attack has anything to do with Islam. It is abhorrent. It does not represent the religion in any shape or form or any of the teachings. This is a criminal with a stolen gun who tried to kill one of our officers, and it has nothing to do with being a Muslim or following the Islamic faith. Local mosques and Muslim organizations, meanwhile, have immediately come forward to condemn the attacks. If the suspect did carry out the attack in the name of Islam or ISIS, it will no doubt lead to heightened tensions much as it did in San Bernardino, Paris, or last year's shooting outside of a Prophet Mohammed drawing contest in Texas. But with people like Kennedy stepping forward to dissolve any sort of link between Muslim communities and terrorism, it could make a real difference in how react to these situations in the future, and how effective ISIS' scare tactics can be.